This site is operated by Sharp Real Estate Services, LLC DBA Southern Comfort Cabin Rentals of Blue Ridge. Your privacy on the Internet is of the utmost importance to us. 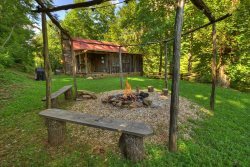 At Southern Comfort Cabin Rentals of Blue Ridge, we want to make your experience online as satisfying and safe as your stay at one of luxury mountain homes. We do not disclose any information about you to anyone without your permission, except as required by law. Southern Comfort Cabin Rentals only gives access to information about you to those employees who need to know that information in order to provide products or services to you. We maintain physical, electronic, and procedural safeguards to protect this information. We do not disclose information about former customers without your permission, except as required by law. The website services may change from time to time and without notice. All aspects and transactions on this site will be deemed to have taken place in the State of Georgia, regardless of where you may be accessing this site.